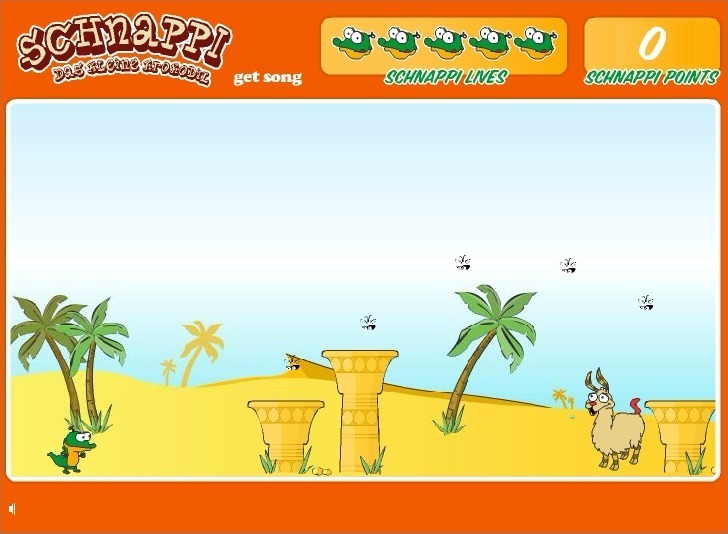 Up Arrow Key - Jump. 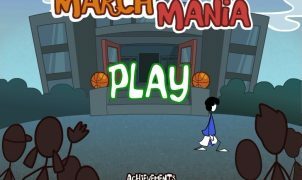 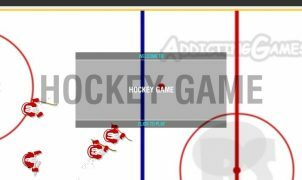 Left / Right Arrow Keys - Move. 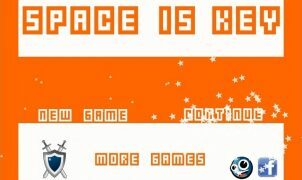 Spacebar - Schnapp. 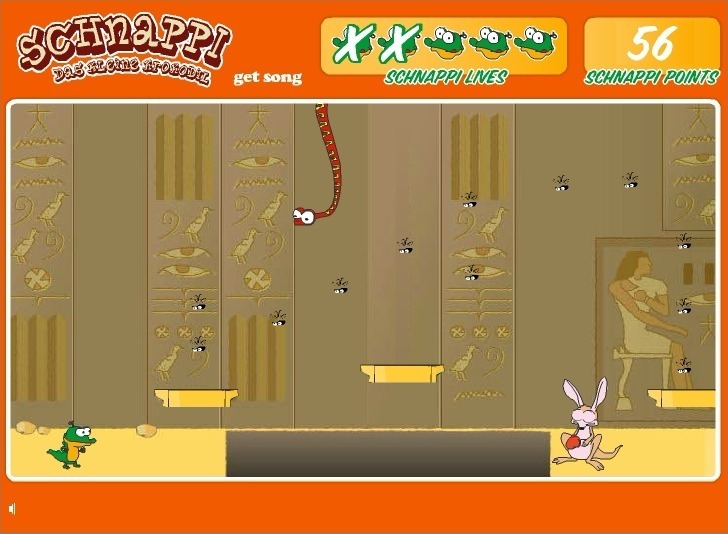 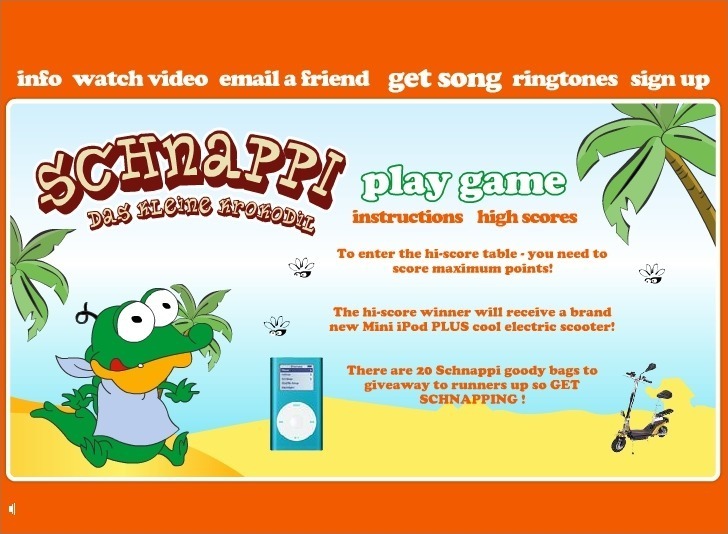 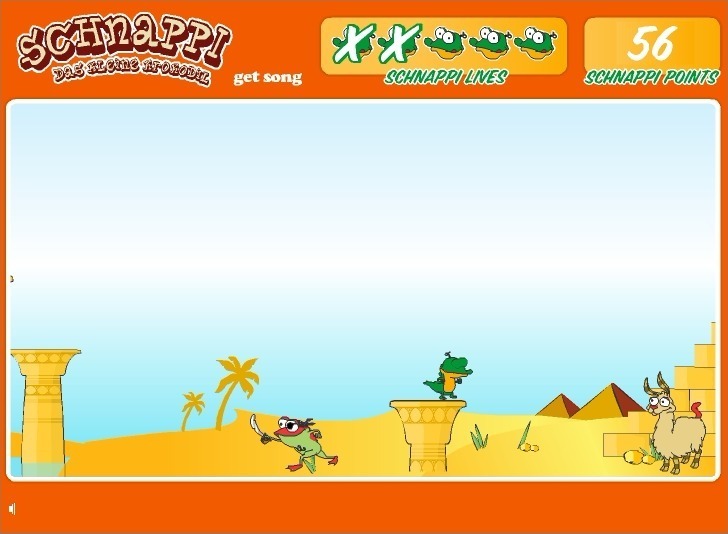 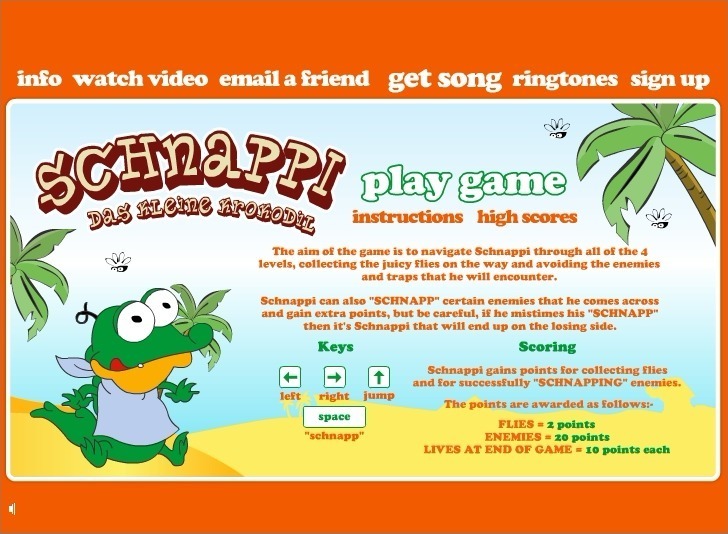 Help schnappi the alligator get through many levels while eating flies.